The rocket structure in a fun online educational physics class game. 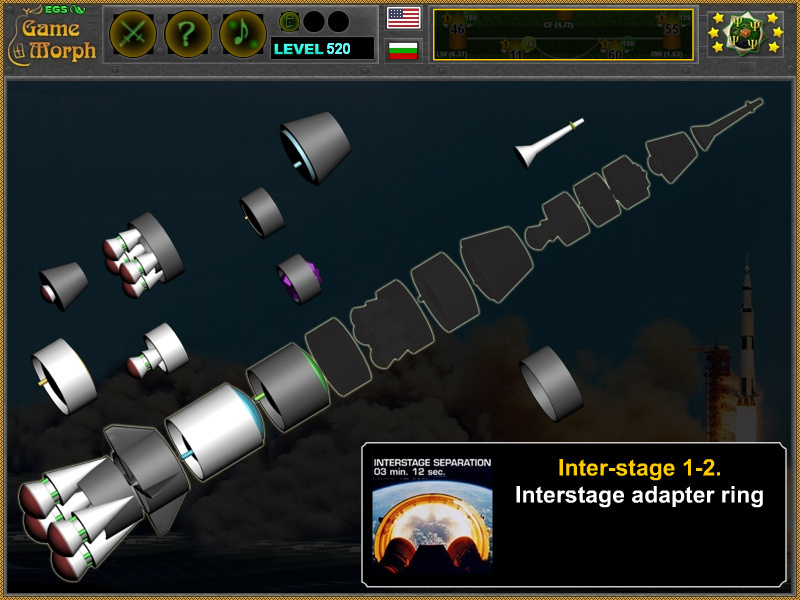 "Rocket Parts Puzzle" is a free online knowledge level game about the Rocket parts, with interaction. The task is to arrange all parts of the rocket on the designated places. Simple rocket parts learning game. A short game puzzle for desktop computers, laptops and tablets, which may be played in the web browser. 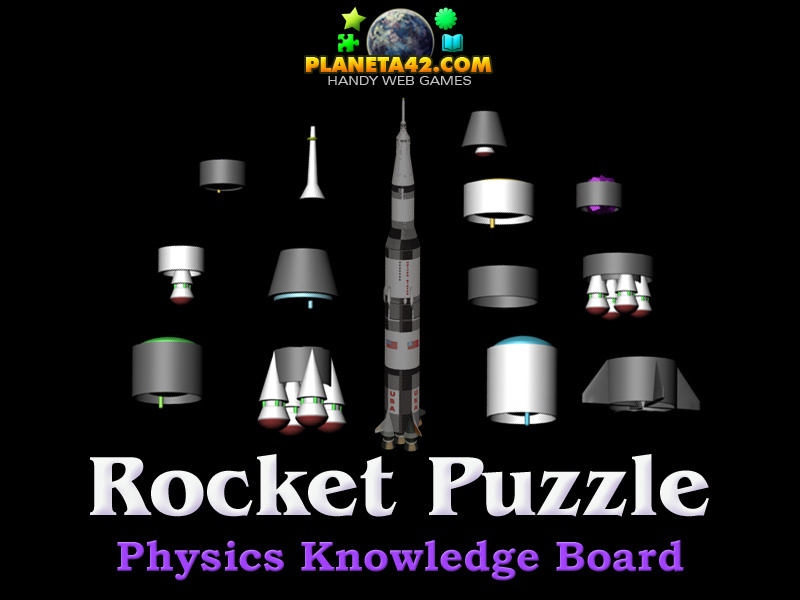 The Physics Knowledge Board include 12 rocket part pieces to play with. Simple rocket structure, part of the Interactive Physics Workshop educational tools. Which are the most basic rocket parts? How many stages rocket launch have? What type of fuel rockets use? How much fuel a rocket need to leave the atmosphere? What a rocket consist of? What is the structure of Saturn V rocket? Where is the engine located in the rocket? How many engines Saturn V rocket have? Where is the landing module located in the rocket? Where is the interstage ring located in the rocket? How to play Rocket Puzzle. Assemble the space rocket parts.There are 12 rocket parts, situated on the upper left part of the screen. Drag and drop them in the correct place in the outlined rocket in the middle of the screen. A small information window will show short description about the parts and stages. Upon completion, new Knowledge Level is achieved. Know the basic rocket parts and where they are situated in the rocket. Stand Alone (bottom of the page) version include an executable file for Windows OS with local levels only. Class subject: Structure of space rocket. Labels: Games with rockets , Puzzle Games , Flash Games , Physics Games , Education Games , Free Online Games.